Last night was supposed to mark a historic mission for SpaceX: the first re-launch of a reusable rocket to the International Space Station. That launch has now been delayed to tomorrow at 11:24 EST at the earliest, according to a NASA blog. This launch is historic, as we covered last week. SpaceX has previously re-used its Falcon 9 rocket as well as its Dragon spacecraft. Now they’ll be re-using both together. This would also mark the first time NASA has used a previously-flown rocket for a resupply mission. SpaceX “requested additional time for prelaunch ground systems checks,” according to that NASA blog and confirmed by a SpaceX tweet. The launch was already delayed on December 5. CEO Elon Musk hasn’t tweeted about the delay yet, and the company has not yet responded to a Gizmodo request for comment. We will update the post when we hear back. If successful, the mission would be an important entry into a new era of reusable rockets. 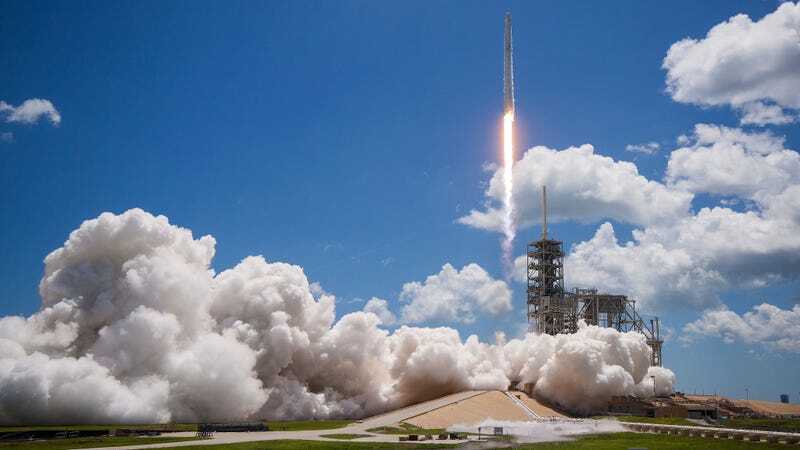 Additionally, it would mark the first use of the company’s refurbished launch pad on the Cape Canaveral site after last year, when a Falcon 9 exploded, payload and all, reports Wired. At present, the rocket is slated to arrive at the ISS on December 16. We’ll be back tomorrow to hopefully watch the next launch live.